Mk2 Lotus Cortina announced at the Geneva Motor Show in March 1967. 2 x 4 door Lotus Cortinas built for Police. The statistics for Lotus Cortina production were obtained by Graham Robson from the Ford archivist, who had access to the production records at the time. 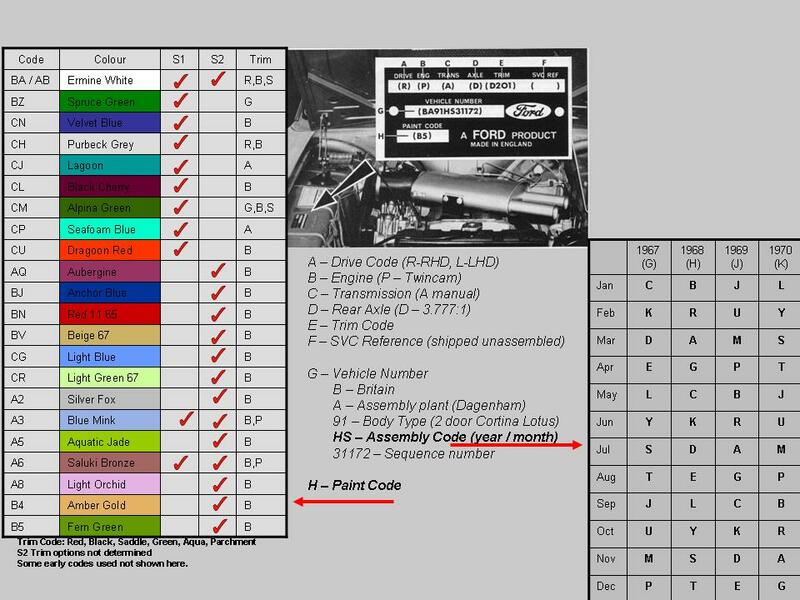 There is an anomaly around the production of cars in November / December 1968, as several cars are known with a date code of November 1968. It seems most likely that these cars were made at the end of October 1968, as far as the production system was concerned, but not allocated a chassis number / strut top stamp until November, which may only have been a couple of days later. The identification of the cars by allocating a chassis number was only made once the cars were complete, running and had passed their quality checks, hence it was quite normal for completed cars made in one month to have the next month’s date code applied. 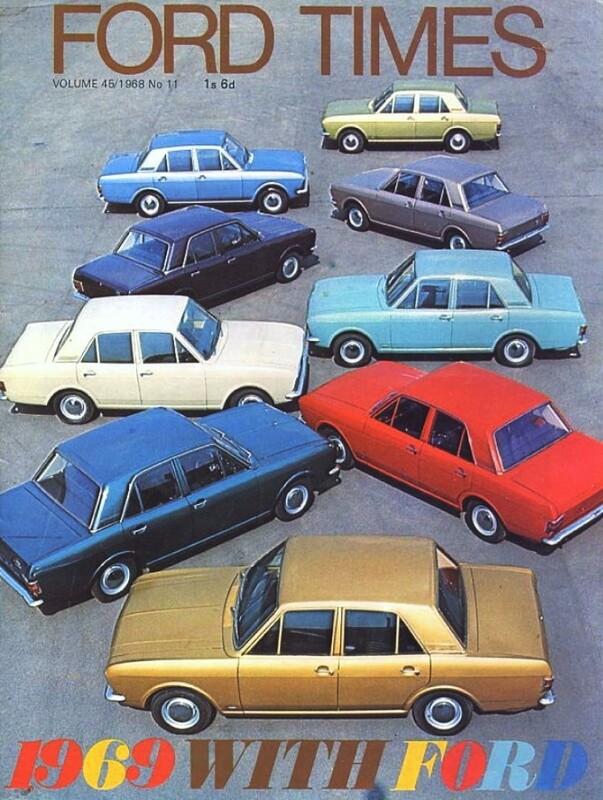 This is the total number of Mk2 Cortinas built, showing the body type (number), the model name and the number made. These numbers are taken from the Russell Hayes book ‘Ford Cortina – The Complete History’. Note. Again, some of these figures vary slightly from previously published numbers. Until a definitive set of numbers is produced, we will have to take these as indicative only, but they are the best available.